Are you ever looking for an easy meal to prepare that your whole family can take part in and enjoy? I have a dish that is for you. It is my Prego Pasta Sauce Pizza Bowl. The video in this recipe was sponsored by Prego Pasta Sauce. I love a recipe when you can have the whole family help you put it together. It is fun to create a whole bar of food and let people assemble their dinner the way they want to. My Prego Pasta Sauce Pizza Bowl is exactly that, a meal for pizza lovers. It can be challenging if you want to make a whole pizza, but it takes no time at all to boil some pasta. For this recipe, you will just cook up your favorite type of pasta, and enjoy it with Prego Pasta Sauce. You can also assemble your favorite pizza toppings. For my house, that is pepperoni, Mozzarella cheese, chopped onions, sliced olives, and cooked sausage. To make a pizza bowl use a bowl, that is oven-proof. Add pasta, top with Prego Pasta sauce, and then add your favorite toppings. You will then pop this under the broiler and broil for about 5 to 7 minutes or until the cheese just begins to melt and brown. 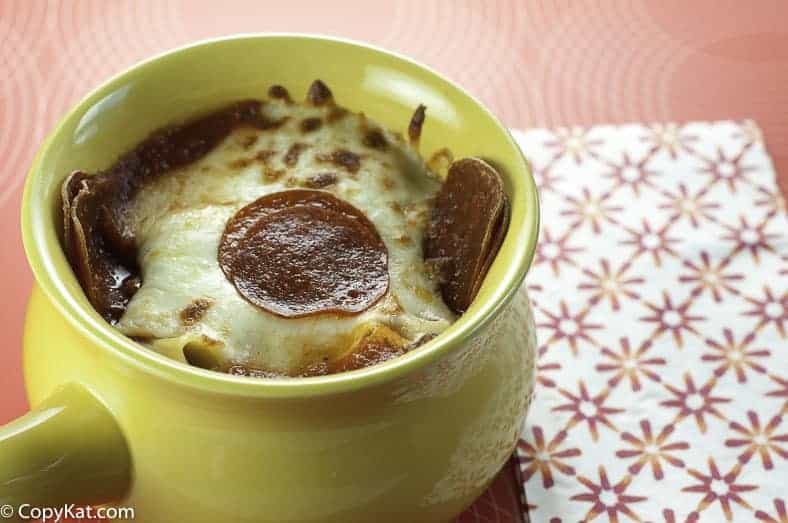 So not try one of these simple to make Pizza Pasta Bowls, your whole family can enjoy putting them together, and then sitting down enjoying a meal. 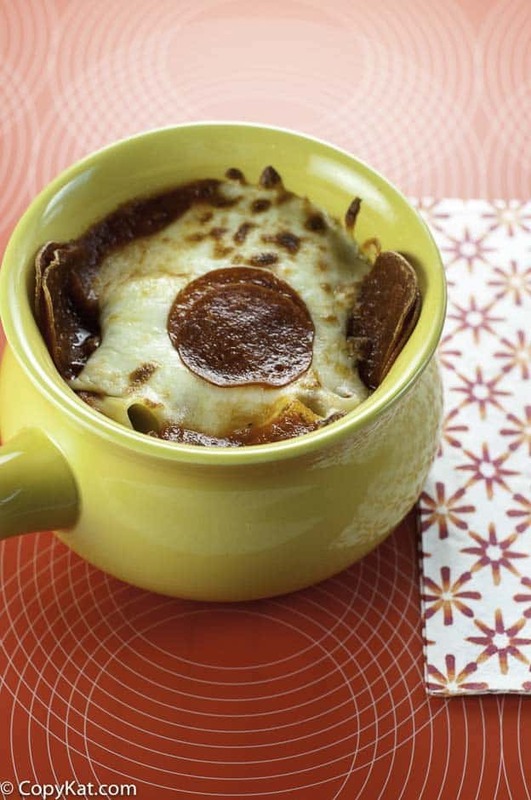 Prego Pasta Sauce Pizza Bowls make a great family meal. Cook pasta according to package directions. Heat pasta sauce in a pot until it is warmed through over medium heat. Drain pasta and place pasta in small oven-proof bowls. Top with Prego Pasta Sauce, and then add your favorite pizza toppings. Add cheese last. Place bowls under the broiler and broil for about 5 to 7 minutes or until the cheese begins to brown. I made some of these for the first week of school, my kids loved them. I made this recipe here at home and my family loved it. I’m loving your blog. This looks really good and simple to make. Thanks! What a great idea! So easy and quick to make. I can see this recipe being one that would be used on those super busy school nights. What a great idea! They look so easy to make, and I bet they’re delicious! Yes I am always looking for meals where the kids can join me. And this would be totally up their ally, especially since they can they get creative with the individual bowls. Now this is perfect for when your craving pizza but don’t want to be stuck with leftovers (Which is an actual thing believe it or not!!). Drooling here! !